I have been asked by many AIRTEL Users to post a Method to get a free GPRS for the AIRTEL. Nobody wants to pay for what he/she uses. I am also a Nobody so I was also in trying out all the things to get free GPRS for AIRTEL users since I am also a AIRTEL User. Finally I have got a Full proof way to get free GPRS for all the AIRTEL Users. This method has been tested on different mobiles and has been confirmed to be working. Still if anybody faces any problem please contact me and I will try to solve it as quickly as possible.Today I will give you tool which you can use for free Airtel GPRS. This Tool is Opera Mini 5 beta 2 which is available for all of you to download. Yes, I know that this version of Opera mini can not be used for free GPRS. 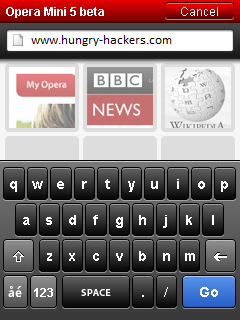 But I am going to give you a Modified version of Opera Mini 5 beta 2. This Modded version can be used for Free and Unlimited surfing by the Airtel Users. This may also work for other Providers but I have not checked it yet. I would like to get feedback from the users using other services. 3. Activate AIRTEL Mobile Office. For that you need to have atleast 30 Rs Balance. If you have previously activated Airtel Mobile office than you don’t have to activate it again . These are the Mobile Office Settings. 4. After Mobile Office Activation -DONOT OPEN/BROWSE ANY WEBSITE THROUGH BROWSER- EXCEPTOPERA v5.0 OTHER WISE AIRTEL WILL CHARGE YOU 15 RS. FOR THAT DAY. Don’t forget to say thanks…. Are you tired of searching the Internet for Cracks, Serials and Keygens with the Risk of Getting infected by Trojans and Worms? 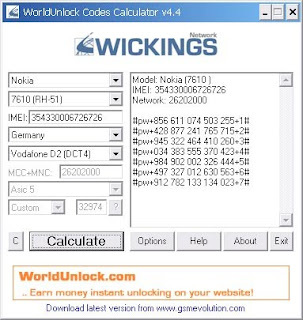 Whatever is your reason – illegally install, not genuine, no money to pay, forget purchased original valid serial key, lazy to register product, want to extend trial limit and etc – if you search for cracks or serials online, you will likely end up searching, finding, locating and downloading from a few crack sites or cracks search engines. However, these crack sites contain lots of toolbars, popups, spyware, adware, malware or unwanted components that try to infect your computer. Craagle is an utility that helps you to avoid these nuisance. There is no need to install the program as the exe is portable and can be run without any kind of installation process. To run the program just double click the craagle.exe file. There is no need to install the program as the exe is portable and can be run without any kind of installation process. To run the program just double click the craagle.exe file. To download click here. How to search for cracks, serials or keygen in Craagle? 1. Type the name of the software. 2. Select whether you want crack, serial or keygen. 3. You may also select a specific website you want to search. 5. Select the version of the software. 6. Right click and press Download to get the Key. 7. The Key will be displayed at the bottom as shown in the above figure. The Second option of COMPORT is of no use untill you have the PC suite and the USB drivers. PC sync Manager is the PC suite which works fine with all the chinese Phone models. Have you ever deleted a very important SMS which you regret for the rest of your life? Are you searching for a free SMS recovery Software? If the answer to above questions is Yes then you don’t have to worry anymore as today I will show you how to recover deleted SMS from SIM card or Phone memory. Note: This trick does not work on Symbian 3rd Edition cellphones. 1. Download and install this free mobile File Manager – FExplorer. 2. Launch FExplorer and navigate to C: if you use Phone Memory to store your messages (default) and D: if you use Storage Card as your SMS storage location. 3. Now navigate to and open “system” folder. 4. Now open the “mail” folder. 5. This folder should contain many folders named similar to 0010001_s etc. with files named similar to 00100000 etc., These files are the actual deleted messages, Simply, use the FExplorer inbuild text viewer to view these files, You will need to browse through every folder and open all files inside them until you get the required SMS. You may come across a situation in which your windows XP PC fails to reboot, and the most accepted solution to that problem is to re-format the Hard Disk. Before formatting, you should backup your files. If your computer is password protected, you won’t be able to access them from outside, so here is a method for getting around this. Boot the machine from Windows XP bootable CD. At the setup screen, select R to repair using Recovery Console. Now the console program will prompt you to select the Windows folder (eg. C:\WINDOWS) where the Windows is installed (you need to enter a number from the list of folders shown to you). Change the current directory to the user’s directory where you want to backup. Type ‘CD “C:\Documents and Settings\X”‘ (without single quotes) and press enter. Where X is the username. Now the current directory will change to “C:\Documents and Settings\X”. Now change the directory to Desktop by entering ‘CD Desktop’ (without single quotes) and press enter to go to the desktop folder. Type ‘DIR’ (Without single quotes) and press enter, you will be listed all the available files in Desktop. Type ‘COPY a.doc D:\BACKUP’ (without quotes) and press enter, where a.doc is a file available in Desktop and the folder D:\BACKUP available to copy the files. As in step 7,8,9,10 you can backup other folders like “My Documents”, “My Music”, etc. Note that you cannot use wildcards for COPY, i.e. you cannot copy all the files in a folder at once. You must copy one file by one. Before doing this, try changing the password to blank so that you can access the data from another machine to easily drag and drop to copy your data. Any data not backed up will be permanently deleted when you re-format the hard drive, so make sure you back up any thing you want to keep. Hello friends,Many times when we use our phone we set its security on by setting password on it.But what,if we forgot that password.What should we do then after.We go to some Mobile shop,give 50 to 100 rupees to the shopowner and he will reset the password and we feel happy. there u will c a url box..